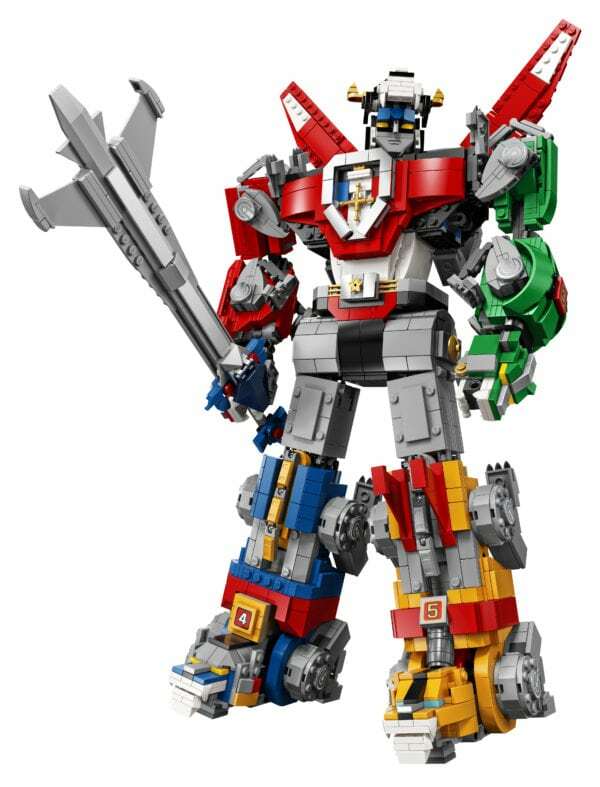 • Features 5 buildable and posable lions that can be transformed and combined to create the giant Voltron super robot. 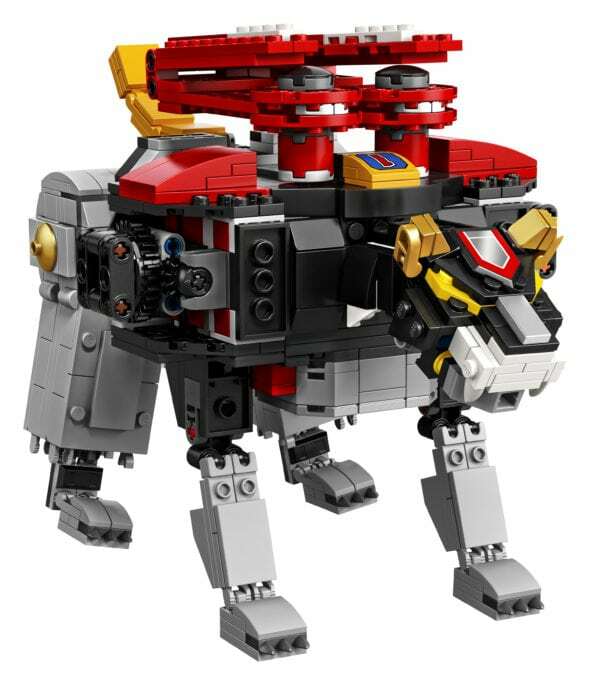 • Play with the lions individually or combine them using extra-strong joints to form Voltron—the black lion forms the head and torso; the red and green lions form the arms; and the yellow and blue lions form the legs. 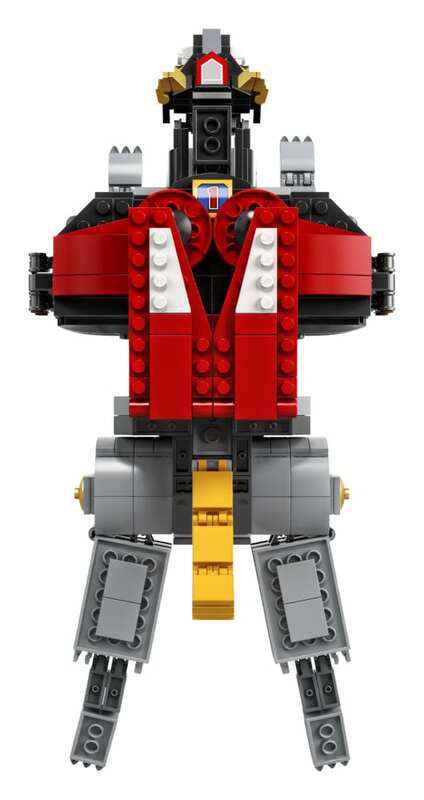 • Pose the head, shoulders, arms and wrists of Voltron (legs are not posable). 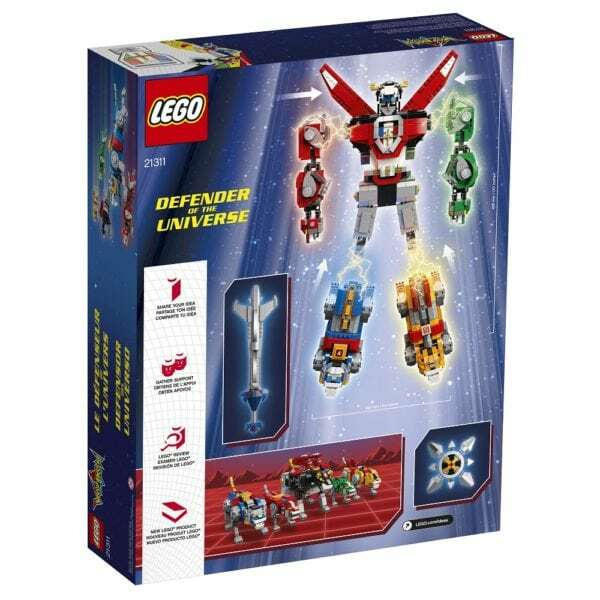 • Also includes a sword and shield (each with silver-colored elements) that attach firmly to Voltron’s hands. 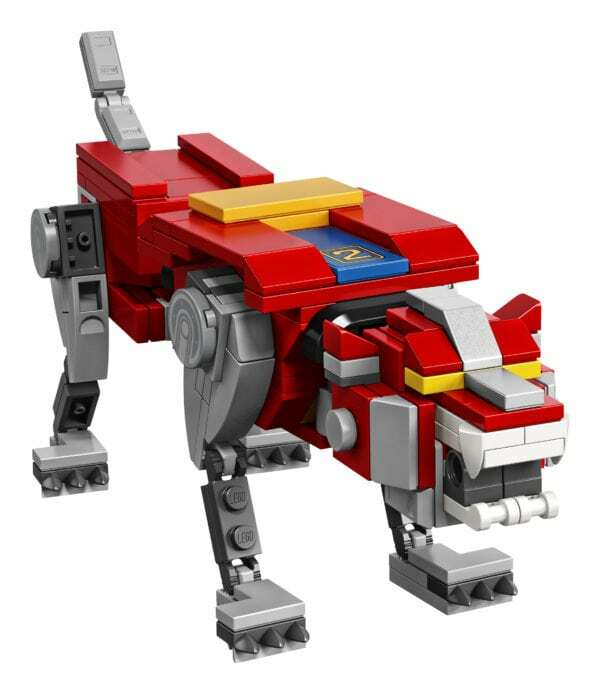 • Includes a booklet with building instructions, plus information about the set’s fan creator and super force of LEGO® designers. 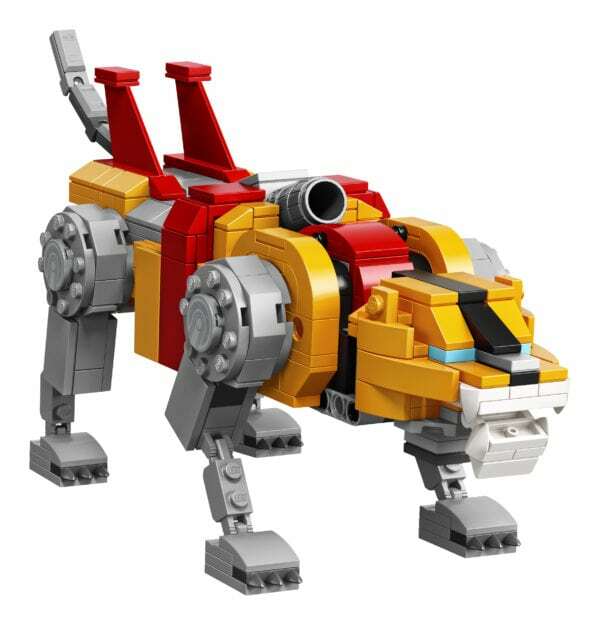 • This set includes over 2,321 pieces. 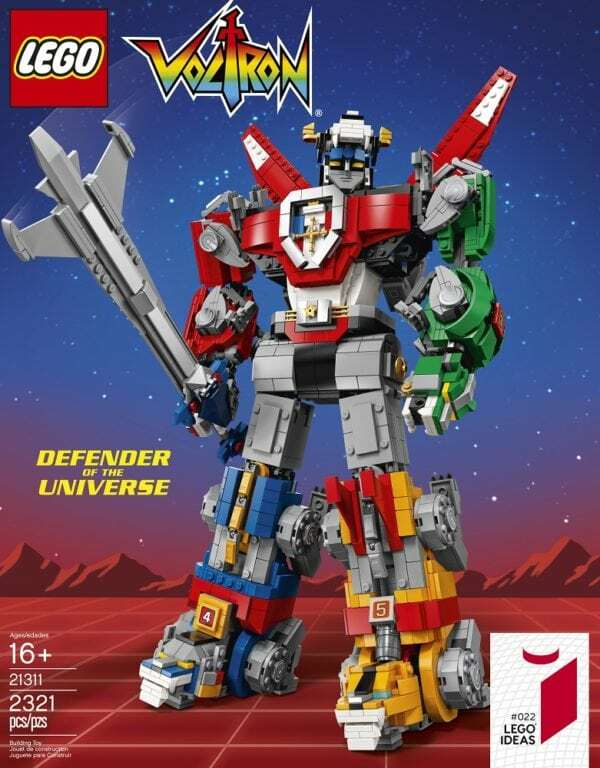 • Display or play out exciting stories from the original 1980s animated Voltron TV series and the modern DreamWorks Voltron: Legendary Defender series. 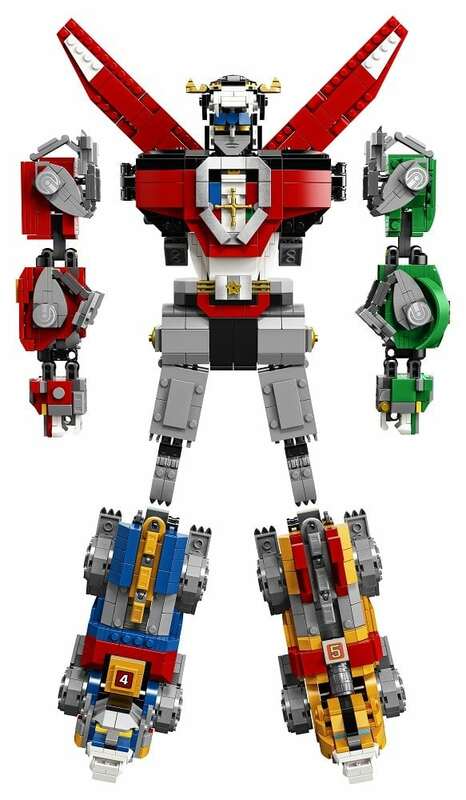 • Voltron measures over 15” (40cm) high, 5” (14cm) long and 8” (21cm) wide. 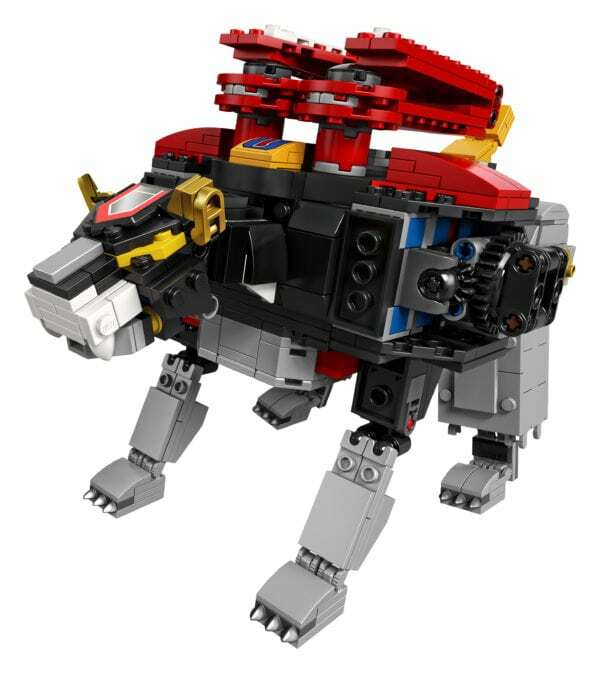 • Black lion measures over 6” (17cm) high, 8” (22cm) long and 5” (15cm) wide. 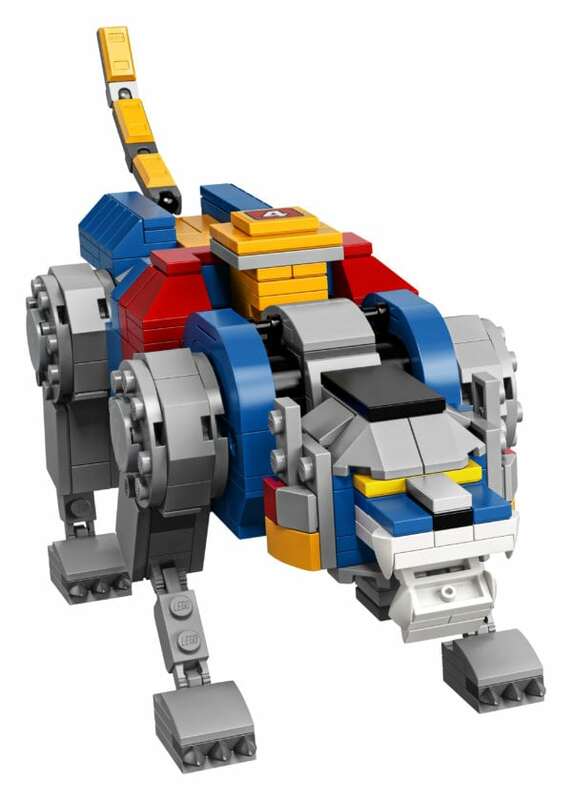 • Yellow and blue lions each measure over 3” (8cm) high, 8” (21cm) long and 3” (8cm) wide. 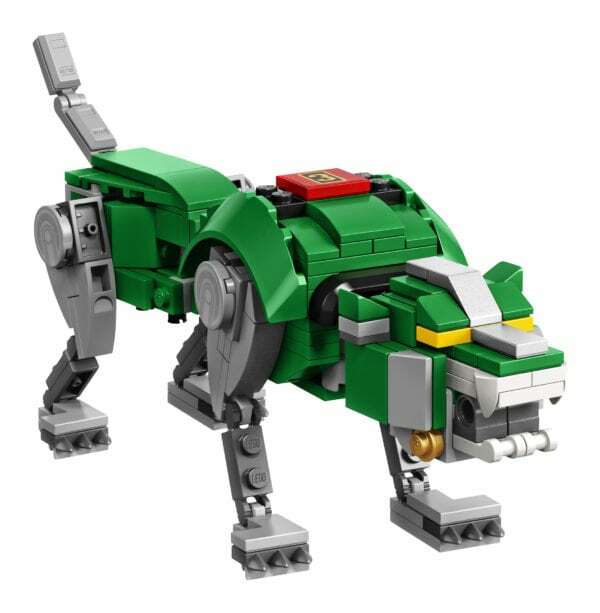 • Green and red lions each measure over 3” (8cm) high, 7” (18cm) long and 1” (5cm) wide. 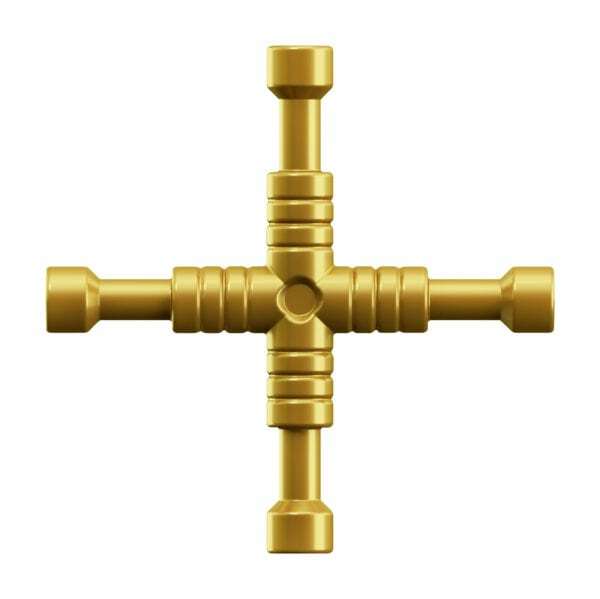 • Voltron’s sword measures 11” (29cm) long. 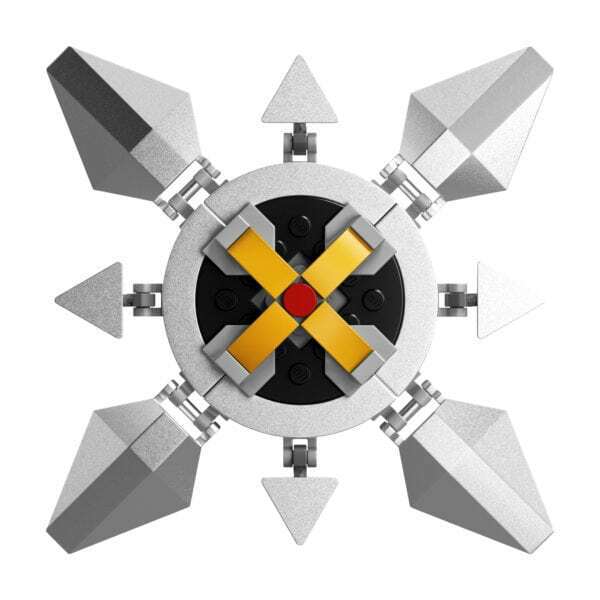 • Voltron’s shield measures 6” (16cm) in diameter.